Perhaps because he is still too close to the policy-making in Washington, Mr Riedel uses statements like “the United States currently has better relations with both India and Pakistan than any other time in the past several decades”. This, after he lays out in great detail how deeply unpopular the United States is in Pakistan (not least because of Washington’s improved relations with India), how the Pakistani military is at loggerheads with its U.S. counterpart, and after mentioning incidents like the suicide attack on the CIA base in Khost. Let’s hope Mr Riedel was merely being diplomatic and politically correct, because the alternative is unflattering. The disappointment deepens when you see the author accepting the trite argument that Pakistan’s insecurities vis-a-vis India will assuaged if there is a settlement of the Kashmir dispute, even on Pakistan’s own terms. 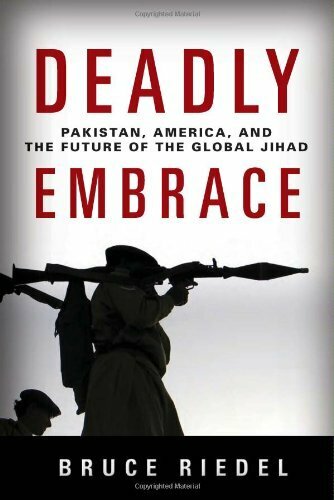 A person who correctly sees a hasty U.S. withdrawal from Afghanistan as a victory for Al-Qaeda’s global jihad somehow fails to consider the geopolitical implications of India yielding to Pakistan’s military-jihadi blackmail. To be fair, Mr Riedel recommends nothing more than what was agreed in India-Pakistan back channel talks, but even so, the premise that Pakistan will pose less of a threat to international security if only India were to make some concessions takes the heat off the protagonists—Pakistan and its scaffold states. And no, privately nudging the Indian leadership to pursue dialogue with Pakistan is unlikely to be any more effective than doing so publicly.